4 Bedroom Villa On White Sand Beach! We've lived in the Caribbean for many years but we always come back to The Bahamas. The water quality is beyond description and we love our beaches. Its safe, the people are lovely and the food is great. We love our seafood and have never seen anything as good as this. The community we share is very quiet and we feel we have the place to ourselves. The facilities here are amazing and the staff service is 1st class. We are very happy with our choice. Bathrooms are well appointed and tiled with terrazzo on floor and walls. Situated on 1,200ft of soft, icing sugar white sand beach. We keep a small amount of spices to help get started. Our Palm Cay Coolibah Condo was a perfect retreat for the four of us. The condo has exquisite views, was very clean and very well equipped. There is a restaurant on the premises which was pretty good for our last night dinner there. Try the desserts! It was such a convenience to be so close to a grocery store. Once using the free app Mapsme we were able to explore most of the island with ease. Would stay again at Palm Cay! We had one of our very best family vacations at Palm Cay. The listing description and photos are accurate, capturing the comfortable ambience of the rental. The location is right on the lovely beach, perfect for the kids, but also close to the pool. We enjoyed many a beautiful sunrise and sunset, and always felt safe and could let the kids wander and discover. The villa is tastefully decorated, bright, and comfortable, and is very well-stocked with kitchen supplies and utensils, linens, towels, lounge chairs, and beach toys. We appreciated how clean and well-maintained the property was. From the start, Mike was responsive and helpful. We appreciated his prompt response when we couldn’t locate a needed highchair. His recommendations were spot on, from the chef to the taxi service to the restaurants and activities. We spent a special night out at lovely Cafe Matisse and one day we hired Jeff, a chef with Keshlah Smith, who worked out beautifully and supplied us with plenty of leftovers. We used taxis to get to different locations for shopping, sailing, diving, and snorkeling, and once walked to Solomon’s grocery store. The property might be a bit out of the way, but what you get is beauty, comfort, and quiet. We would recommend this property highly to any group. Pictures nor words can properly describe how amazing this property is! We rented the house from 2/9-2/16 for a group that included 6 adults and 3 children (2 and 7 months), and it was perfect. The house had everything we could have wanted or needed (excluding a blender, which we borrowed from a neighbor). The rooms were great, with the master offering a balcony to the breathtaking view of the beach, which was just a few feet away from the backdoor patio! It was so comforting to be able to sit on the patio, or on the many available lounge chairs right outside, and watch the kids play in the sand. For a change of pace we were also able to walk just a minute in either direction and use the available pools on the property. Both the beach and pools were widely accessible with no issues of crowding. The home also had a ton of snorkel equipment to use! There were also tons of sunscreen products available, I assume from what people leave upon their departure, which is handy in case you run out. Having a washer and dryer was a definite plus, especially traveling with the kids, but allows you the opportunity to pack light and recycle clothes. There is a supermarket within a mile of Palm Cay. We hired a cab to take us our first day, which was pricey but necessary with the amount we purchased. We walked there other days to pick up small items. The grocery store is expensive; be prepared to spend a few hundred dollars on basic necessities. If you can pack and bring stuff, I would recommend it (a box of cereal can easily go for $7, and they have a VAT of 12%!). We hired Chef Everton for 2 nights which was a definite pleasure. Everton is so nice and interactive, and his food is outstanding. I would certainly recommend future renters considering his services. He books up quickly so don't hesitate! We also had a nice dinner at the Palm Cay club, and both lunch and dinner from the bar. Get the pizzas! We only went into town once and took Cheryl's taxi service. I could have skipped this trip as it was very touristy, but we did have the chance to visit Pirate's Republic Brewery for some good craft beer. Mike was a pleasure to work with. I appreciated the fact that he was always responsive and informative, having provided a very detailed guide to our stay which answered a lot of our questions. He made the experience very seamless. We are already planning our return! Final thoughts: the bed in the master is the most comfortable bed I have ever slept on, there is WiFi in the house, TVs have Netflix apps you can log into. Those snack foods are crazy expensive in Bahamas. So for any guest coming to stay with us: load up! Practically everything in Bahamas is imported except for the water sun and sand so some things are pricey. I have guests from Nebraska who bring their beef steaks every time they come to stay. Thank you J for very well written review. As phenomenal as the pictures are....they still don't do it justice. I brought my family and grandchild.....couldn't have been more pleased. Beach was pristine with white sand and clear blue water. exceeded our expectations with his own personal touch. To the readers of this review: the Moss family were so lovely to work with. They made my job easy. Thank you for the lovely feedback. We are thrilled to know you had a great time. That’s all that matters to us. We enjoyed our stay so much that we will plan on going back very soon. The townhome is directly on the beach and very close to the club. We also had Chef Everton Smith come for dinner two nights and brunch one day. He was fantastic and made so much food we had snacks for the next day. Mike is very responsive and follows up with you when you arrive to make sure you have everything you need. The beaches. The bahamas is known for its stellar beaches. With over 2,000 breathtaking islands and cays, and the clearest water. With calm, turquoise waters and soft, powdery sand, it’s no surprise when its beaches are recognized as some of the best in the world. Perhaps the most famous is treasure cay beach in the abacos. It was recently voted as one of the best in the region by caribbean travel & life. Others receiving recognition are gold rock beach on grand bahama island, cape santa maria beach on long island and harbour island's pink sand beach. The shores are so beautiful, that most of the time pictures don’t do them any justice. You have to visit to witness just how stunning they actually are. Boating charters. Don’t have a boat? No worries. Just schedule a charter at our marina and embark on a journey around the islands of the bahamas. Rose island & paradise island are great places to start. The exuma cays is also another popular charter destination, however, a majority of our islands offer services for those looking to explore by sea. Seafood. If you want to leave the fishing to the experts you wont be disappointed! At the fish markets at fort montago and potters key you can pick up some of the freshest catch you can imagine. Make sure to go to potters cay and hace them serve up conch salad made straight form the shell in front of your eyes. Pop a kalik while you wait. Montagu has amazing fish, conch and lobster that they will clean and fillet if you like. Cricket club. A great spot for lunch. Local favourites as well as fish 'n chips. Overlooks the oval replete with score board, boundary ropes and a granstand. Fabulous. Arawak cay. You have to visit here in the evening for beers, fish fry and beers. Very colourful and a must do while in new providence. Cabbage beach. This is the best beach on paradise island and is open to the public. Right next to the one and only ocean club. Atlantis. No visit to new providence is complete without a look around the atlantis park. Bay street. This is the main streat of nassau and is very busy when the cruise ships are in town. Have some fun at the straw market picking up your souvenirs. Plenty of shopping and fun to be had down here. Dont miss out. Poop deck. Probably the best known seafood restaurant. Quite rustic. Suggestions are to have a drink at the bar before sitting down to your table. 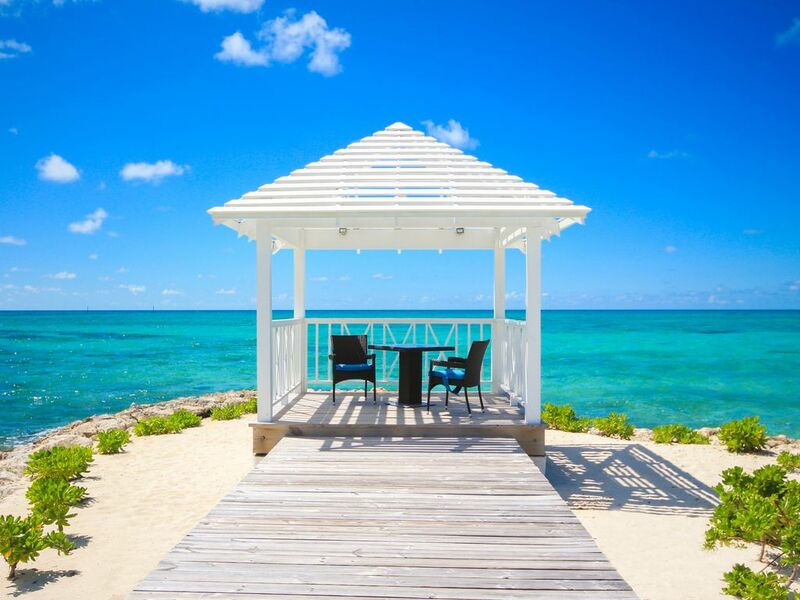 You will meet some real bahamians chilling out here. Pick your fish from the rack and ask for how you like it cooked and you are done. Rose island. Try a sandy toes tour to rose island. Its easy and will get you snorkeling, lounging around and you can even stay over if you want to. Harbour island / spanish wells. The day trip to harbour island is not bad. Bahamas ferries will get you there and back. Hire a golf cart and see the famous pink sand beach, pick up some souvenirs from quaint shops, have a bite on the waterfront - this is excellent conch salad!